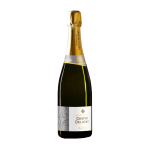 If you want to buy Gratiot Delugny Brut Millesime Gratiot Delugny 2004, at Uvinum you will find the best prices for Champagne. It is not possible to buy Gratiot Delugny Brut Millesime Gratiot Delugny 2004 right now. Notify me when I can buy Gratiot Delugny Brut Millesime Gratiot Delugny 2004. 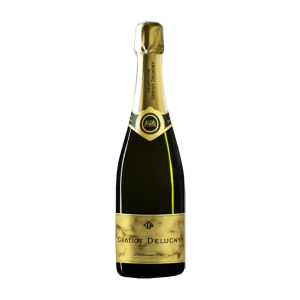 Give us your email and we will notify you when you can buy Gratiot Delugny Brut Millesime Gratiot Delugny 2004 online. Champagne Gratiot Delugny elaborates this Gratiot Delugny Brut Millesime Gratiot Delugny 2004 , a white wine from Champagne with the best chardonnay grapes from the 2004 vintage and has an alcohol content of 12%. Uvinum users evaluate this white wine with 4 out of 5 points. - View: a rich, creamy lather, intense emotion, golden yellow and amber light reflections. - Nose: an aromatic range of white-fleshed fruit, hints of ripe citrus fruits freshness in the finish. - Mouth: full and at the same time spacious with beautiful end vivacity. Fantastic colour. Clear hints of jasmine. 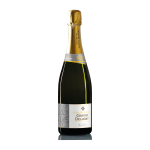 This Gratiot Delugny Brut Millesime Gratiot Delugny is a wine with good acidity. A 2004 goes fine with snacks.